In today’s competitive world organizations are expecting a solution that can satisfy their information needs in just one click; solve business queries in seconds; with option to customize as per organizational needs. 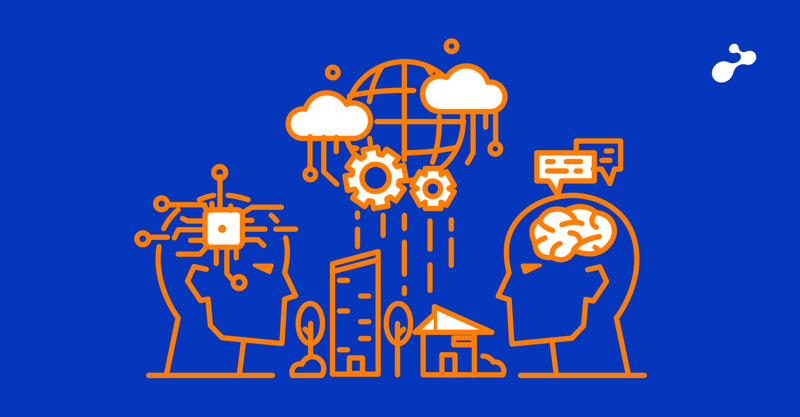 What Information Technology offers is a range of Business Intelligence Tools that assist organizations in taking business decisions more effectively and efficiently. Out of 100s of Business Intelligence Tools available in the market, I experienced tableau and believe me it’s just awesome. This BI Tool comes with many rich features. You simply have to drag and drop things and you will get what you actually want, that too in just fraction of seconds. 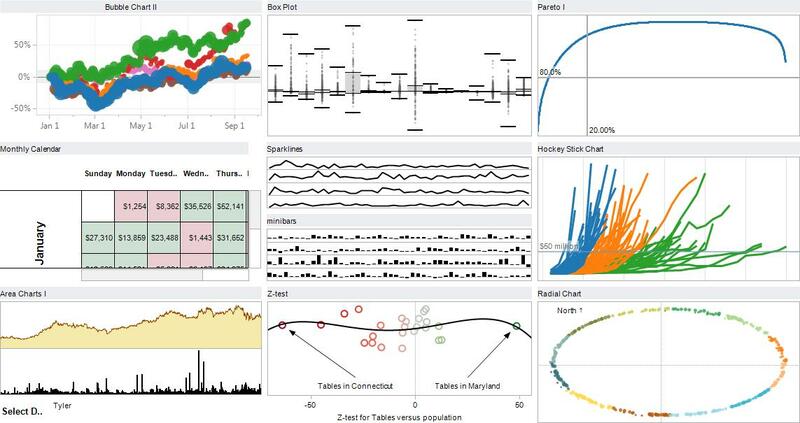 Tableau offers four business intelligence products viz. Most often, it has come to notice that, there exists a gap between the report developer and business decision maker, i.e. the one who consumes the report. Tableau bridges this gap to a great extent by offering report building capability which a lay man can use to develop a Business Intelligence Solution. This helps in minimizing the dependency on IT resources. The primary and one of the best features of Tableau is you need not be a technical expert. Business users like decision makers, department heads, sales and marketing heads, sales representatives, senior management can easily and effectively use Tableau to develop and generate reports to satisfy their information need while taking business decisions. Tableau is one of the fastest Business Intelligence Tool available in the market. Tableau can create reports in minutes which might take hours in Microsoft Excel. One can connect to data source and in few minute’s time one can have attractive graphical visualizations to choose from. Tableau’s in-built geocoding feature makes Map a core part of Tableau. Whenever users have data related to common areas like countries, states or post codes, they need not enter latitude or longitude data to locate that area on the map. 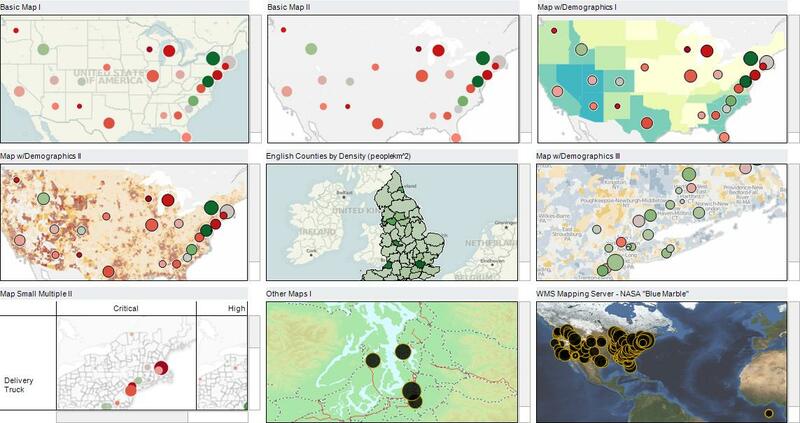 Along with strong data visualization, tableau gives us flexibility to tell stories with maps and to use maps to drill down into related information. 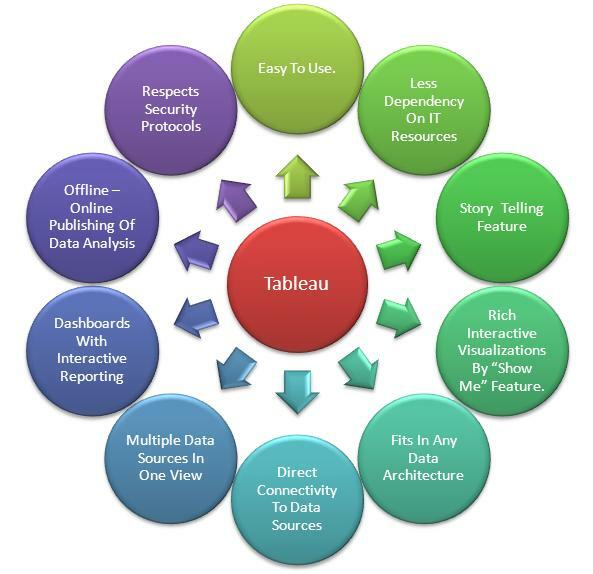 Tableau is one of the interactive Business Intelligence Reporting Tools available in the market. 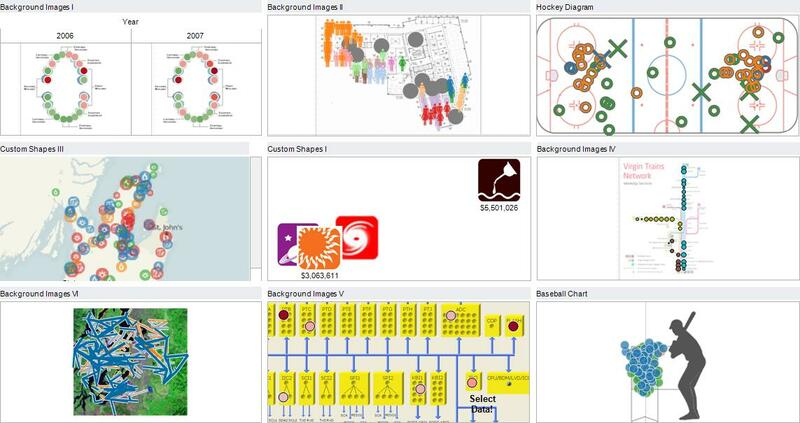 Tableau understands the type of data connected and suggests suitable visualization. Features like “Show Me” recommends the suitable data visualization based on the selected data. Once it is connected to a database, Tableau automatically segments data into dimensions and measures. Tableau provides flexibility to choose how you work with data. One can directly connect to database or can use in memory technology. 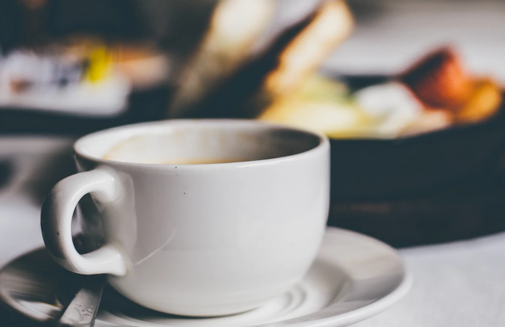 In memory can be used when database is slow or one needs to work offline or when live database connection is not possible. Tableau has an ability to connect directly with almost all types of databases available in the industry. This significantly helps in reducing time and efforts for aggregating the data and importing into local data warehouse. 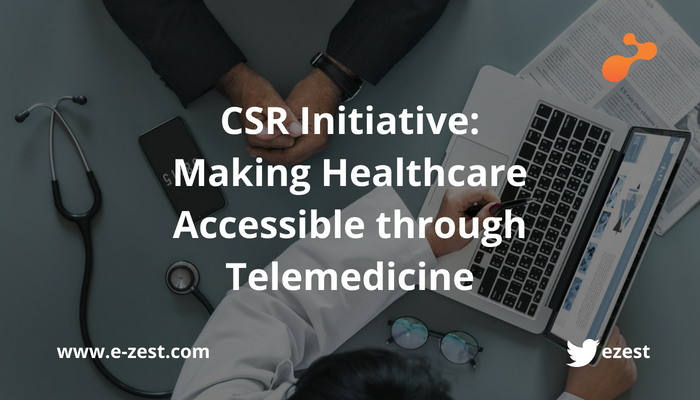 Having direct connectivity with various data sources, more time can be spent in analysis. Tableau also understands and extends all the native functions available in the connected database. 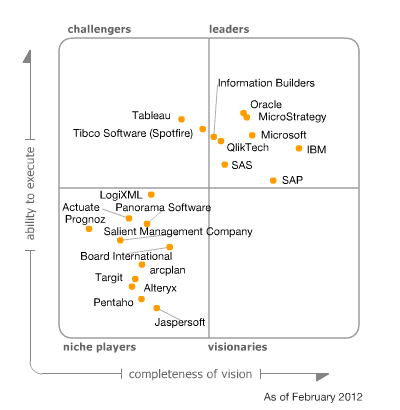 Tableau is one of the most economical Business Intelligence Tools available in the market. Organizations can also save money as there is less dependency on additional IT resources. Tableau Server offers offline and online publishing of the data visualization which makes the information exchange fast, simple and effective. Tableau Server helps to share information along with underlying summary data via emails along with various data exports formats. Tableau respects security protocols. Every user has a unique id and password that restricts the access to business information. In a nut shell Tableau is a new Business Intelligence Tool that answers business user’s needs, fits in any data architecture, maintains security protocols, offers data visualizations at a great speed, in short it is a complete Business Intelligence Solution.